The module can measure the air pressure and temperature of the current environment, and then you can convert this signal to information of altitude. The BMP180 is the function compatible successor of the BMP085, a new generation of high precision digital pressure sensors for consumer applications. The ultra-low power, low voltage electronics, superior performance of the BMP180 is optimized for use in wearable device, mobile phones, PDAs, GPS navigation devices and outdoor equipment. The I2C interface allows for easy system integration with a microcontroller. The demo will show you how to get the air pressure and temperature of the current environment. When connecting Xadow - Barometer BMP180 to Xadow - Main Board, you should concern about the connection direction. The connection method is that the unfilled corner of one Xadow module need to connect to the right angle of another module(see four corners of each Xadow module). Xadow Barometer BMP180 is sharing the library with Grove - Barometer Sensor. You can download directly the library from GitHub. Now you can open the code and upload it to Xadow Main Board. If you have not installed the Xadow Driver, You can learn the operation steps by referring to the getting started in wiki main page . 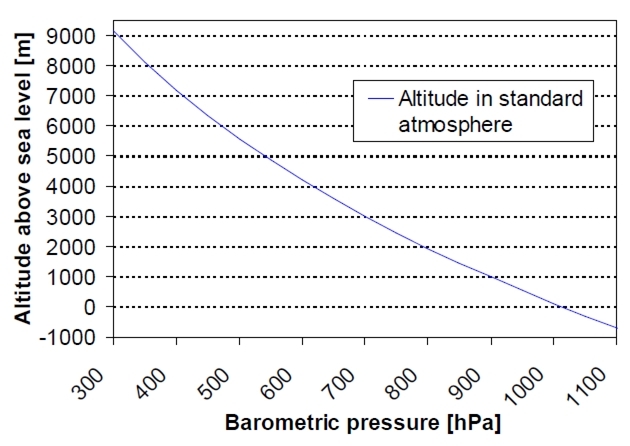 * Get pressure, altitude, and temperature from the BMP180. * Serial.print it out at 9600 baud to serial monitor. Serial.print(pressure, 0); // whole numbers only. 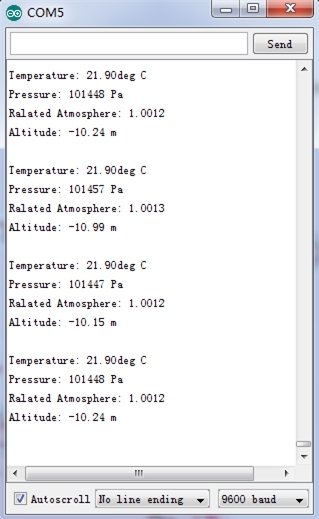 Open the serial monitor to receive the sensor's data including temperature, barometric pressure value, relative atmosphere pressure and altitude.